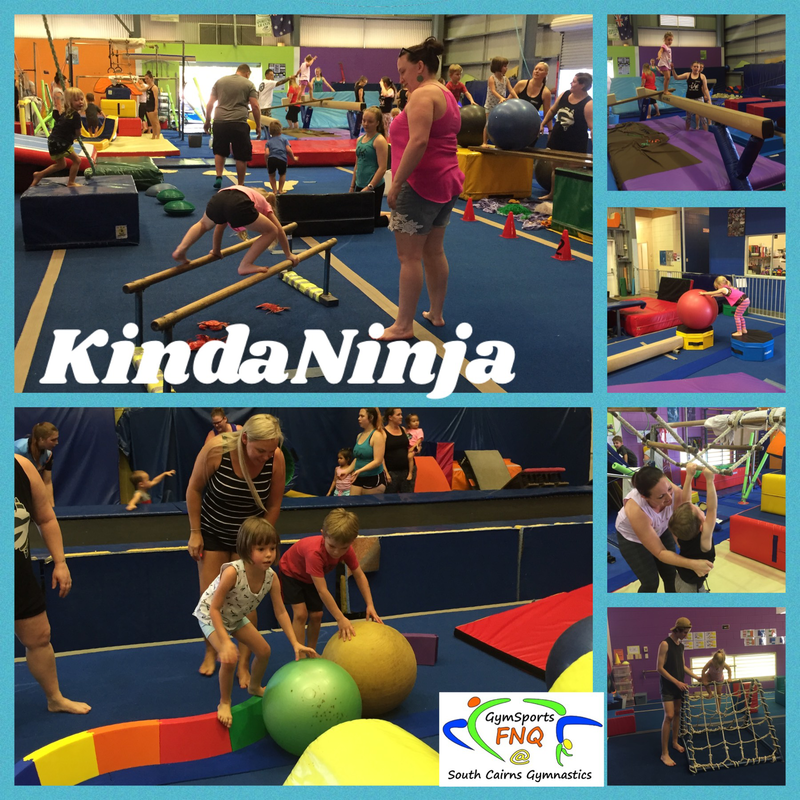 Ninja gymnastics – where kids get to be kids! Creative circuit based activities using the full range of equipment in our purpose built facility. These programs are designed to get kids active and aware. These programs are casual classes @ $13 per session, per child and require no booking or term fees. Our casual classes give you the freedom of coming as often as you wish, with no need for makeup classes if a session is missed. As per all programs it DOES require Club membership (insurance) to be paid after the 2nd lesson. 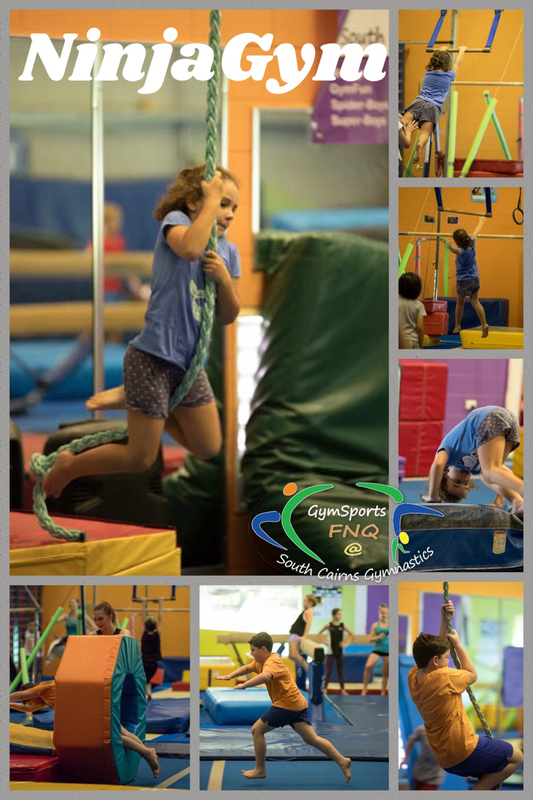 After your first 2 sessions at $13 each you MUST register as a Club Member and pay the Membership fee (covers insurance with Gymnastics Qld, expires Dec 31 2019), and complete a Club Membership form. Once payment and form are received, you can collect your Ninja Club T-Shirt as well as your NinjaGym Concession card from the front counter. Concession Cards carry over to the following term however are only valid for the current year. Why not bring the birthday guests along to a NinjaGym session! For $13 per child you can relax while the kids are burning off some energy! KindaNinja will be on every Saturday in Term 1!!! We are excited to announce that KindaNinja will be on every Saturday from 12-1pm starting 2nd February 2019!! KindaNinja is designed specifically for 2 to 5 year olds. 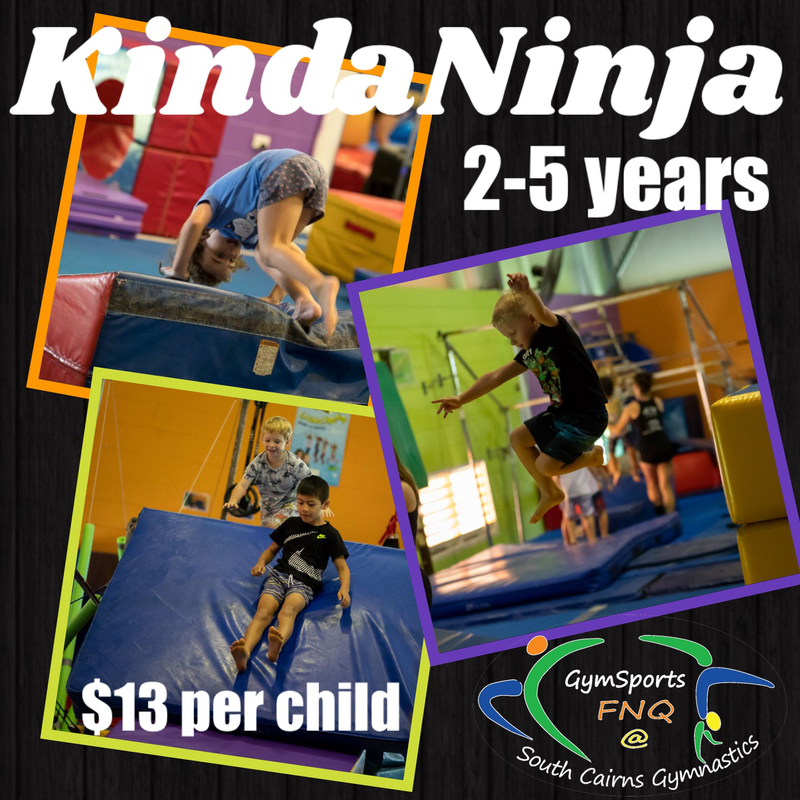 KindaNinja is great for building confidence, balance, coordination and body awareness while having heaps of FUN, swinging, climbing & jumping through our obstacle courses. Adult support: Children aged 2-3 years are required to have an adult with them at all times during the session. If you have a 4-5 year old please consider that some children in this age group still may require additional support with this program so please ensure you and your child wear practical clothing for this session. Limit to 1 adult (18+) per child to assist (we can not allow full families on the floor however families are welcome to watch from the upstairs grandstand).